NAIROBI, Jan. 7 (Xinhua) -- Guinea was last week declared by the World Health Organization (WHO) free of Ebola epidemic which caused some 2,500 deaths in the country. International aid has played a role in helping Guinea's fight against Ebola, including those from China. 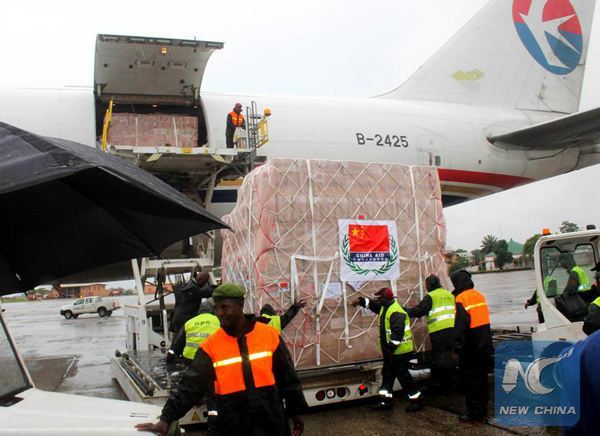 China was the first country to provide aid for Ebola-hit countries after the outbreak of Ebola virus in March 2014. As of November 2014, China offered humanitarian aid worth 750 million yuan (about 113.77 million dollars) and sent thousands of medical personnel to Ebola-hit countries in four rounds of campaigns. The first aid Guinea received for fight against Ebola was from China, in March 2014. "China was the first country to come to Guinea's aid after the outbreak of Ebola, with a financial package of 50,000 U.S. dollars from China Red Cross given to Guinea Red Cross," says Guinea's International Cooperation Minister Koutoubou Sanoh. During the same period, the Chinese government gave the three countries hit most by Ebola -- Guinea, Sierra Leone and Liberia -- each medical aid worth one million yuan (151,600 dollars). 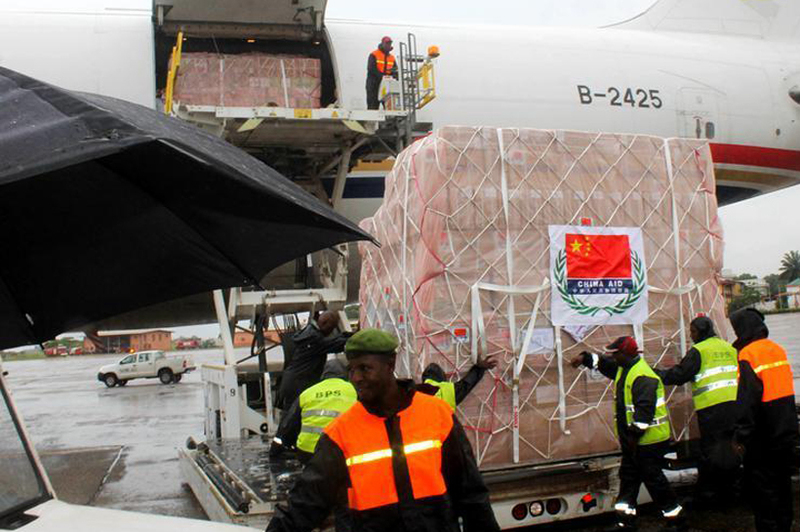 In August 2014, China donated humanitarian aid worth 30 million yuan (about 4.55 million dollars) to Guinea, Sierra Leone and Liberia with planes carrying the aid to the three countries the same month. 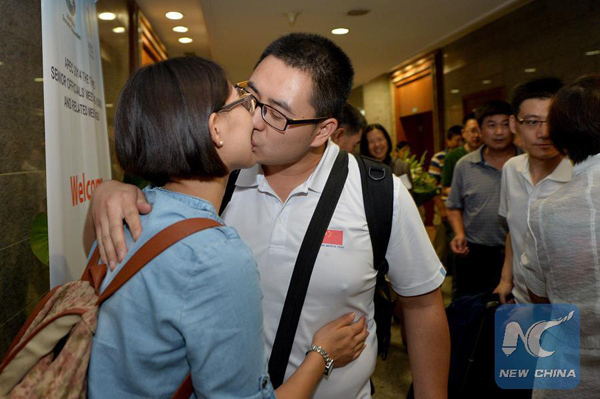 Also in August, China sent public health experts to provide training in the three countries. Announced in September 2014, Chinese aid worth 200 million yuan (30.34 million dollars) including remittance, food and other supplies has been given to the three countries. 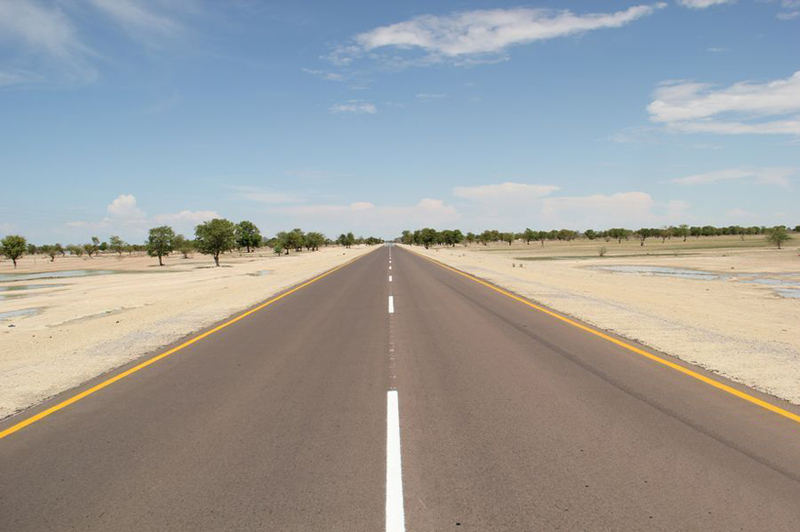 Of the remittance, two million dollars were given each to WHO and the African Union. Announced in October 2014, Chinese aid worth 500 million yuan (75.85 million dollars) including remittance and supplies has been given the three countries and international agencies, and a counter-Ebola treatment center set up in Liberia. 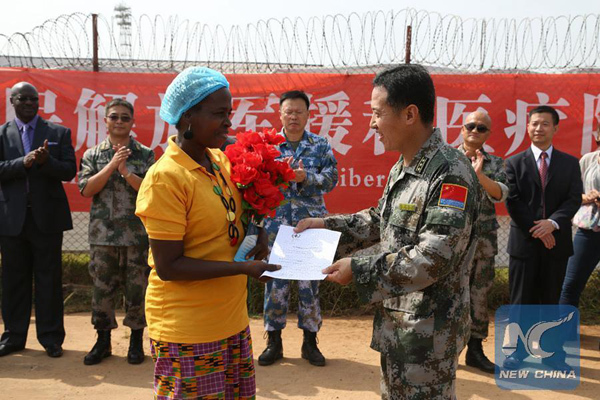 In December 2014, China offered medical aid and equipment worth one million dollars to the Sino-Guinea Friendship Hospital which lost 6 doctors who were fighting against Ebola. During the signing of an 8.5 million dollar loan offered by China to Guinea the same month, Sanoh said in less than a year, Guinea had received about 1 billion dollars from China to fund development projects, besides medical and food aid. Given the worsening food situation following the Ebola outbreak, China offered food aid valued at 2 million dollars to Guineans. Sierra Leone was declared free of Ebola in November. Liberia is expected to announce the end of Ebola on Jan. 14. It twice recorded new cases after it was declared Ebola-free in May and September last year. A country is declared Ebola-free after 42 days without a single new case since the recovery of the last Ebola patient. China has announced late last year it would provide a fifth round of aid for Ebola-hit nations.